The cancellation of Marvel's critically acclaimed Daredevil by Netflix is recent days has been met by disbelief by many fans, especially as the show had just recently returned for a third season, which was universally well-received; it stands at a 94% approval rating on Rotten Tomatoes. While this may be shocking for many, it's hardly surprising considering the ruthlessness with which Netflix has operated in relation to its Marvel properties in the last month or so, swiftly cancelling Iron Fist after its second season, followed a week later by the cancellation of Luke Cage after two seasons. It's inevitable at this point that the only two remaining Marvel shows, Jessica Jones and The Punisher, are destined to face the chop once their third and second seasons respectfully air in the coming months. So what's led Netflix to become so heartless in their dealings with their Marvel shows? Despite the fact that Netflix are notoriously secretive about their viewing figures, there have been reports recently that the Netflix shows, Luke Cage and Iron Fist in particular, saw massive drop-off rates in the number of viewers between their first and second seasons, and that could have led to their cancellations. While this may have been a factor, I don't believe it's the primary cause. After all, Netflix have stood behind shows in the past that haven't been critical smashes, even pushing ahead with a final season of House of Cards in the aftermath of the Kevin Spacey sexual misconduct allegations. I think the real reason these shows have been cancelled is much more bureaucratic. Simply put, Marvel's parent company Disney is about to launch its own streaming service that will likely be Netflix's biggest rival in the years to come. Let's take a quick look at the history between Disney/Marvel and Netflix to see how we found ourselves in this situation. In 2013 Disney and Netflix struck a deal to bring four Marvel heroes to Netflix's then up and coming streaming service. It might be hard to remember, but in 2013 Netflix had just launched its first original series House of Cards. Also, just one year prior in 2012, Marvel's The Avengers had just been released and devoured the box office, capitalising on years of build up in movies like Iron Man, Thor and Captain America. Marvel was on their A-game and Netflix were quick to pounce, securing the rights to produce Daredevil, Jessica Jones, Iron Fist and Luke Cage, as well as a team-up series The Defenders, a sort of mini-Avengers. 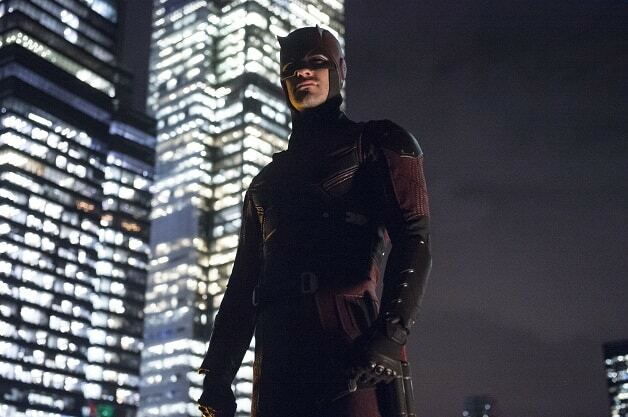 In 2015 the first of the Netflix Marvel shows Daredevil was released, and to much critical acclaim. The show was praised for its dark and gritty take on the character, as well as its dour tone, which was antithetical to its cinematic sibling. The show was so successful that a second season was fast-tracked and released before the crossover series The Defenders. This partnership between Disney and Netflix worked well for a time, but that all changed as it became apparent that Netflix were revolutionizing the way in which movies and television are consumed. It's hard to imagine that when Disney and Netflix signed that deal back in 2013 either of them could have imagined just how much the landscape would change in the intervening years. Now Disney have seen the potential in streaming services, and rather then buying out Netflix, which many people thought they would do, they have instead opted to create their own streaming service to rival Netflix, the recently titled Disney+. It's the emergence of this new streaming platform that has effectively killed the Marvel Netflix shows. Why you might ask? Well think of it like this, Disney+ is yet to launch, and they're already pretty late in the game, so they need to convince people to sign up for their new platform, and how are they planning on doing this? By using the biggest assets they have: Star Wars, Pixar and Marvel. Disney have been producing a live-action Star Wars series The Mandalorian that will be available when the platform launches in 2019, as well as a Monsters Inc. series, and a series of Marvel shows produced by MCU Godfather Kevin Keige, including a Loki limited series starring Tom Hiddleston and rumoured series' starring Scarlet Witch/Vision and Winter Soldier/Falcon. So Disney have been using the Marvel brand, famous all around the world, to draw people to their upcoming platform. Why then would Netflix want to promote anything with a Marvel logo on it when people associate it with Disney? Netflix surely know that once Disney+ launches it's going to be their biggest competitor, so why bother publicising a brand that is being used to lure prospective customers. It's in Netflix's best interests to cut off any attachment to something that will be in direct competition with them in little under a year. This, I believe, is the reason why Netflix has cancelled all of these shows in the past few months. Despite the fact that the cancellation statements of the shows have hinted that the characters will live on in some way, it's pretty hard to see how that will happen. Disney have already confirmed that their Disney+ is going to be a family friendly service, and that doesn't seem compatible with the tones already established. Maybe Disney will tone down the grittiness and violence to match their cinematic counterparts and incorporate Daredevil and his fellow Defenders into the wider MCU, a dream long-held by many fans. Yet again, it'll be business decisions, rather than artistic ones, that determine whether we see any of these characters again. My name is Stuart Kilmartin, and I hail from Galway, Ireland. I studied English Literature at NUI Galway (B.A. & M.A.). Spent many a moon reading Edgar Allan Poe & I can recite Ozymandias, by Percy Shelley, word for word; it's irrelevant, but I'm proud of it. Deep-rooted passion for all things film and television. For those who say David Lynch is too obscure, I agree; and yet, I love him. I started this blog with the intention of getting my thoughts out there and to gain more experience in entertainment writing; and to prove that all those years watching movies weren't time wasted. If you found any of these articles interesting or insightful, feel free to email me at pipinghotproductions@gmail.com. I would absolutely love any feedback you may have relating to any of my articles. If there are any suggestions for future topics, please tell me. I'm always looking for new material to write about.